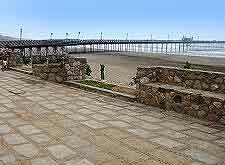 The northern coastline of Peru is home to many wonderful attractions, such as the city of Chiclayo and its tremendous tourism offerings. 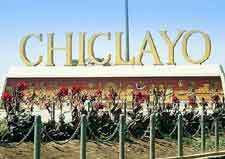 Founded during the 16th century by a group of Spanish missionaries, Chiclayo quickly outgrew the neighbouring towns within the Lambayeque Region, becoming something of a bustling Peruvian metropolis. The popularity of Chiclayo is further boosted by its proximity to a series of surrounding ancient towns and sites of archaeological interest, relating to past Chimu and Moche civilisations. Also of note is the Mercado Modelo, a fascinating flea market boasting a maze of stalls, where it is possible to buy almost anything, within reason. Nearby, the Plaza de Armas stands in the centre of Chiclayo and is flanked by many grand buildings. A handy tourism booth is situated on the Plaza de Armas, while only a matter of blocks away and to the east, the Centro de Informacion Turistico (Tourist Information Centre) is to be found along the Saenz Pena and off the Vicente de la Vega. One of the leading tourist attractions within the Chiclayo area, the Lord of Sipan Tomb (El Senor de Sipan) is a vast archaeological site and filled with Moche history, and only discovered as recently as the late 1980s. The promenade known as the Paseo de las Musas is always a good place to enjoy a stroll and is lined with an array of classical Greek statues and formal gardens. Chiclayo is also home to its very own cinema, the Cine Primavera, where the latest blockbuster movies are always screened. 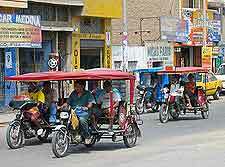 More information about Chiclayo Tourist Attractions. 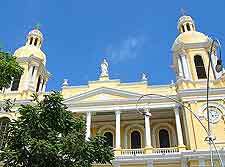 The main landmarks of Chiclayo tend to surround the Plaza de Armas and it is here where the city's elegant cathedral stands, dominating the easterly side of the square. Really rather hard to miss, the cathedral was built almost 100 years ago and features a pale yellow exterior with stone columns, arches and a pair of towers, topped with cupolas. More information about Chiclayo Landmarks and Monuments. Home to all kinds of fascinating Peruvian history and information about past civilisations, the museums of Chiclayo are for many, a real holiday highlight, and one of the reasons that such a large number of people choose to pay a visit to the city. In particular, the Sican National Museum and its priceless gold artefacts deserve to be experienced, although it is the striking Royal Tombs of Sipan Museum in the adjacent town of Lambayeque that really attracts the biggest crowds and actually resembles the pre-Columbian pyramid where to famous tombs of Sipan were discovered. The Bruning National Archaeological Museum also deserves a mention and houses a large collection of important relics, relating to the Chavin, the Chimu, the Inca and the Moche civilisations. 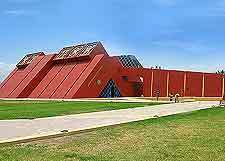 More information about Chiclayo Museums. The northerly situation of Chiclayo means that it is close to many popular coastal attractions, which are easy to reach and conveniently connected by the Pan-American Highway. Lambayeque is just 30 minutes away and ideal for a day trip, while the beaches of Pimentel are even closer and perfect for the summer. Also relatively close to Chiclayo are the cities of Chimbote, Piura and Trujillo, each of which has something different to offer and make for an enjoyable excursion, ranging from bustling markets and celebrations, to beaches, harbours and hiking trails. 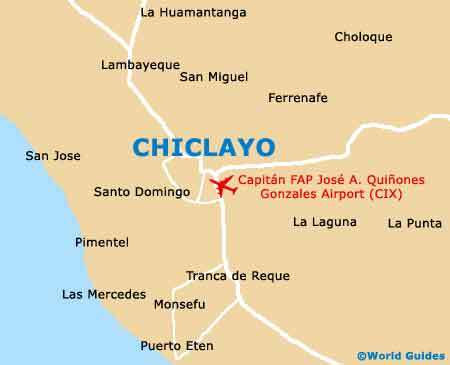 More information about Chiclayo Attractions Nearby.